What are you reading this summer? A great spy novel perhaps? A mystery that has you on the edge of your seat, reading long into the night when you should be sleeping? Here at The Water Project we have a reading list. We challenge each other with concepts from the books we read. Books on international development and theologies of service often top the heady list. But this summer, it wasn’t one of those books that touched me the most. 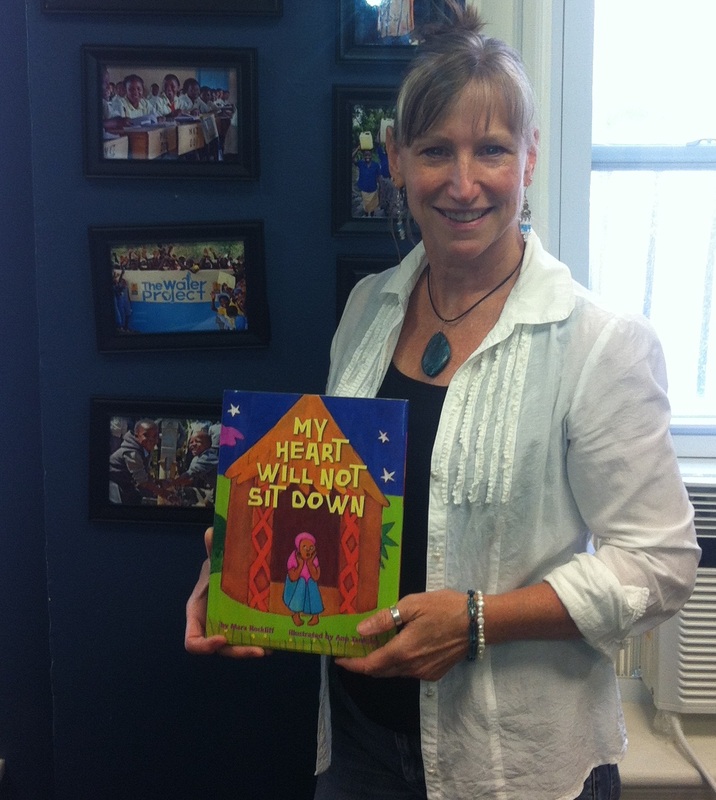 Instead, a little book that Becky Pichler told us about really grabbed my heart. 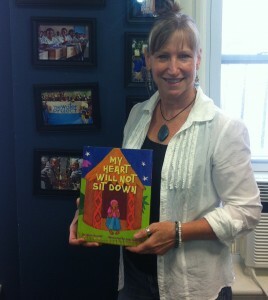 Becky is a teacher from Wilson Elementary in West Allis, Wisconsin and she shared with us how her classroom of 4th and 5th graders read My Heart Will Not Sit Down together this past year. Then, in response, they worked together to help fund a water project! The story takes place in Cameroon where the main character, a young girl named Kedi, learns about the Great Depression of the 1930s and of children in New York City who didn’t have enough to eat. Kedi just couldn’t forget the children in New York and her ‘heart could not sit down in peace’ until she did something to help. One passage really captured my attention. In it, we hear Kedi’s Mama question her plans to help. Wow! I thought… That’s exactly what Becky’s class did through The Water Project. They gave money to help people they have never seen. Their class, along with thousands of others just like you, give to those who don’t have access to clean water and sanitation. When you do, you stretch outside yourself, so others can have what you have… access to clean safe water. Pretty compelling if you ask me! But the story doesn’t end there, as we love to say. Kedi’s story, while fictional, is not just a feel-good story. It is based on an actual event where a community in Cameroon gathered from their meager financial means and donated $3.77 to the children of NY city. And while they never saw the faces of those they helped in New York, Ms. Pichler’s class will. In just a few months, they will see pictures of the families they helped. You can too, by tracking the water project to be constructed in Uganda. Just click here. I wonder sometimes if we think we are the only ones who give. That’s one of the reasons I love this story. It shows the heart of a young girl across the ‘great salt river’ reaching out to meet the need of someone who she has never met. Her heart tells her that she can meet the need, somehow, someway. As was written many years ago to a community in Corinth, “Right now you have plenty and can help those who are in need. Later, they will have plenty and can share with you when you need it. In this way, things will be equal.” It really is a story of sharing, from the heart. So how about you? What has made ‘your heart stand up’ on behalf of others? Share it with us!